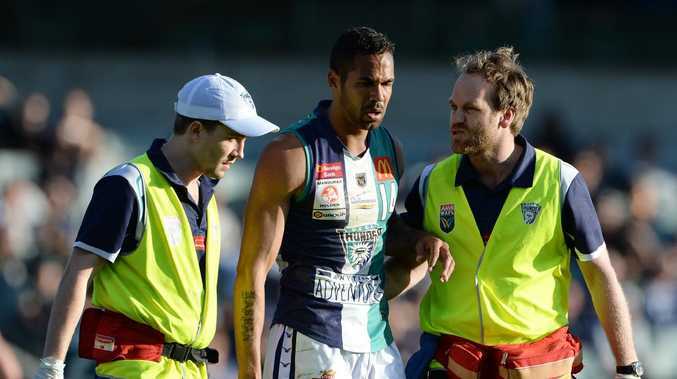 FORMER Fremantle star Shane Yarran has been found dead in Perth. The 28-year-old was discovered by police in the suburb of Seville Grove just after 4pm on Friday, The West Australian reported. His death has not been deemed as suspicious, and a report will be prepared for the State Coroner. Yarran joined Fremantle in 2015 and made his club debut in round 18 of 2016. The former Dockers star played just six games for the AFL club before retiring. I only remember Shane Yarran as a determined young man focused on his family and football with Subiaco. Sad time for all and my thoughts with his family. Such incredibly sad news hearing of the death of Shane Yarran. Thoughts with his loved ones, friends and those at the @freodockers. Readers seeking support and information about suicide prevention can contact Lifeline on 13 11 14.